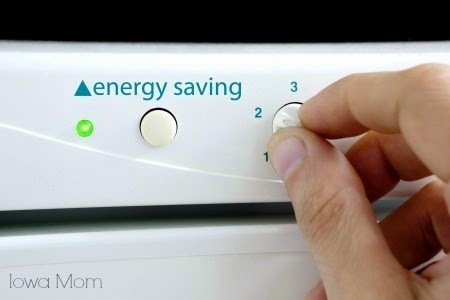 If you're like most people, you are trying to find ways to conserve as much energy at home as possible. This is not only something good for the wallet, but it's also good for the environment. There are some easy ways to save energy that you don't even have to think about while you're at home. One of the easiest ways that you can save energy at home is to unplug the items that you don't use. These are called phantom appliances. They take up space, and they also take up energy. When you need them, plug them in the wall. There are energy efficient appliances that you can purchase, many of which have a tax credit that you can file for at the end of the year. Some companies will buy your older appliances so that you have a little extra money to get energy efficient ones. You might think that the light bulbs in your home aren't using a lot of energy, but when you add up all of the bulbs in the home, you will see that they are using a lot of watts. Fluorescent bulbs might cost a little more, but they use less energy. They also reduce the mercury emissions that are seen with standard bulbs. Some of them are brighter as well, and they often last longer. A thermostat that you can program is something to look at as well. You set the thermostat at one temperature, and you won't be able to move it unless you go in an re-program the system. This will allow you to find a comfortable setting for the entire house thorough the year. When the heat or air isn't coming on frequently through the day or night, you will see that the electric bill will go down. If it's not hot outside, turn off the air conditioning unit, and turn on the ceiling fans. This will get the air flowing through the home so that it's not stagnant. Open the windows as well. In the winter, consider using wood heat if possible. You might have to install the stove and the proper ventilation, but not running a heater in the winter will save a great deal of money, especially if you live in an area that sees old winters. Find any air leaks and seal them because this is letting all of the heat and air outside of the home. It's a waste of money. You can also look into getting energy efficient windows. These will provide better insulation, especially when it's cold outside. This is also a time to look at the other areas of insulation in the home. If there is a basement or attic that you don't use, then block it off so that air and heat don't get to areas where they aren't needed. Monitor your energy usage, and try to find new ways each month to save more energy than the month before. Make it a game so that the entire family can be involved. Companies like Sentry Energy have more tips on saving energy. I think we all want to save energy. I hink my toughest is likely the deep freezer. I have 2 of them, and always am well socked (luckily) I freeze my garden vegetables rather than can!